Finally settling in to my new Connecticut living situation, opportunity arose to check out the opening date for the second leg of the North American Darkness in a Different Light tour for local progressive metal titans Fates Warning. Yes, you can now argue in their current incarnation who really is ‘New England’ bound (guitarist Jim Matheos lives in New Hampshire, touring guitarist Mike Abdow from western Massachusetts) while the other members are spread out across the United States, but to the long-time faithful, they remember their CT roots during the development of the 1980’s metal movement. My first venture into the Webster Night Club, many note the location of the theater in the heart of Hartford has its less than ideal share of safety/parking issues due to the large number of break-ins by the locals seeking a quick fix for their particular ‘habits or needs’. Being a hard concrete building could present its own set of sonic issues – but sometimes we as metal fans have to make due even under the most challenging of circumstances. The extended Fates Warning members turned out in support, as first vocalist John Arch was seeing milling about and taking pictures with adoring fans, as well as ex-bassist Joe DiBiase. 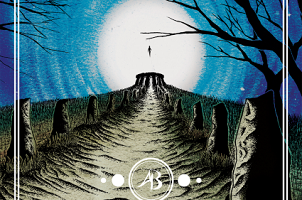 Arriving around 8 pm and unable to take in the local support bands who played in the ‘underground’ venue starting at 4:40pm, we would get the chance to view Imminent Sonic Destruction, a five-piece outfit from Michigan self-described as progressive super metal. Their look on stage was unique for certain: lead vocalist/guitarist Tony Piccoli dressed for success in a professional outfit more suited for college, while guitarist Scott Thompson proudly wore his hockey jersey for the much missed Hartford Whalers, as the other members had a more conventional t-shirts and jeans image. Stylistically their sound had a semi-progressive edge, but balanced out with that modern thump/crunch to keep much of the material down to earth. Their final song “Breaking Through” at 13 minutes plus just seemed to meander without really going anywhere – despite the three part vocal harmonies which were above average. Playing to a sparse crowd of a little over one hundred, their 40 minute set received a tepid but respectful response. Taking a 21 year break between Fates Warning live performances (you can stop the heckling now, January 1994 at the Sports Palace in New Britain, CT), the opening chords didn’t sit well in the Webster Theater’s cement mixer sonic landscape. 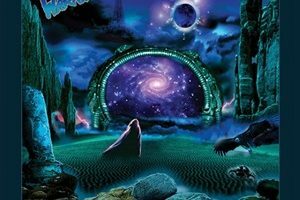 No matter – the band still delivered top of the line, jaw dropping progressive metal from their back catalog while interspersing a few new songs from the current record Darkness in a Different Light. Vocalist Ray Alder sounded smooth and soaring when called for, although certain screams for “Another Perfect Day” had a little off kilter nuance to them. Mike Abdow’s technical grace and prowess makes many say ‘Frank Aresti who?’ during sections of “Life in Still Water” and “Pale Fire”. Bassist Joey Vera and drummer Bobby Jarzomebek are the consummate rhythm section, tackling all the fluid intricacies for “One Thousand Fires” and “The Eleventh Hour”. And Jim Matheos continues to live up to his solid progressive metal legacy, the flowing long hair and PRS custom axe arsenal ready to lay down shimmering chord progressions and clean sections to the legions. Their 80 minute set let the musicians concentrate on the music at hand – presenting little in the way of an active ‘stage show’ per se, no fancy backdrops or lighting sequences to mesmerize the crowd. The 200+ attendees seemed a little lower than normal for their first time back ‘in two years’ according to Ray, but maybe this is a case of old man’s progressive metal not gaining that youthful turnover necessary to bring in a bigger audience. 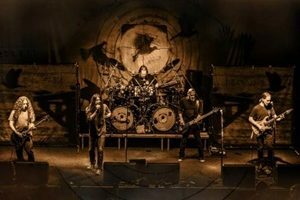 It’s their loss really- as Fates Warning remain one of the best, most innovative progressive metal bands in the business, even 30 years plus in their careers.